Khanh Nguyen is an applications engineer for HP Metal Jet technology with specialized expertise in the medical industry. In this role, Nguyen leads the execution of customer engagement and market adoption strategies with a focused approach on applications and disruption opportunities for HP Metal Jet technology. Previously, Nguyen was a manufacturing/process engineer for various medical device companies specializing in orthopedic implants, surgical devices, and surgical catheters. In this role, he was responsible for the full qualifications of the processes and equipment for manufacturing. 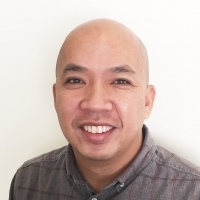 Nguyen started out in the Metal Injection Molding (MIM) industry and over his 15-year MIM career he has held roles including applications engineer, principle MIM engineer, and manufacturing engineer. As a member of ASTM, he played a critical role in writing and submitting ‘Standard Specification for Metal Injection Molded Titanium-6 Aluminium-4 Vanadium Components for Surgical Implant Applications’ (ASTM F2885-11) and ‘Standard Specification for Metal Injection Molded Cobalt-28Chromium-6Molybdenum Components for Surgical Implant Applications’ (ASTM F2886-17). Nguyen graduated from Portland State University with a Bachelor of Science in Mechanical Engineering. Khanh is based in Vancouver, WA.